Intertwined in our lives as our voices to the gods pour. Muki is committed to the Kenyan art scene because he believes he can utilise the power of entertainment to provide education on different key issues affecting the Kenyan population. Over the past few years he has conducted interviews at The Hampshire College addressing various topics on East African Hip Hop, including the historical context, the role of popular culture as a mode of expression and tool for public education and the possibilities of using the avenue to address various community needs. More importantly his work utilises music as a tool for community empowerment, this work is captured in Prof. Mwenda Ntaragwis book titled East African Hiphop: Youth, culture and globolization. In his tenure as an activist, he has engaged in a number of socially conscious projects, collaborating with institutions such as the Sarakasi Trust, French Cultural Centre, Goethe Institute and the British council. 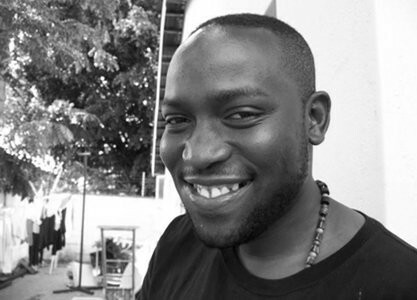 More than being a poet and Hiphop artist, Muki is the co-founder of Words and Pictures (WAPI) – an acclaimed youth arts project in Nairobi which serves as a monthly platform for upcoming artists (for which he was nominated for the British Council’s International Youth Entrepreneur of the Year Award in 2006). He convened a project called ‘Hip Hop Parliament’ in the midst of the post-election violence 2007/2008 in Kenya, as a means to engage Nairobi’s youth in positive dialogue across ethnic lines. In addition he is the founder of Maisha Yetu – a non-profit arts organization for youth, and he also worked at Ghetto Radio 89.5fm as an editor for their online journal www.ghettoradio.nl.